Bill may be a supercilious a88hole but he is also funny! I was prepared to dislike this book because I’ve read many books based on Internet memes that do not translate well to a book format. 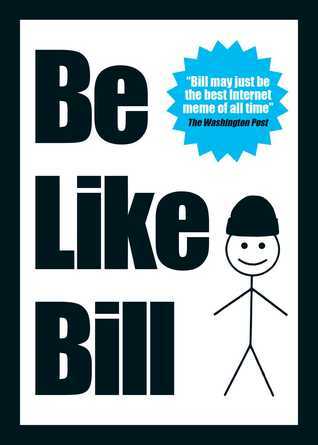 I think even Bill’s platitudes would be better one per day rather than all of them at one sitting. However, as I decided to look for the perfect page to quote for this review, I realized I was highlighting quite a few. I am including a quote that is both funny, true and taught me something (and probably will teach you and Pharrell something too). Bill doesn’t call his girlfriend “bae”. He knows “bae” is Danish for “poop”. I appreciate a book that makes me pick up my phone and google a word in the urban dictionary. This book is good for an hour or two in an airport or while on break at work. I want to thank the publisher, authors and netgalley for an advanced reader copy of this book in exchange for an honest review. This book will be published September 5, 2017.